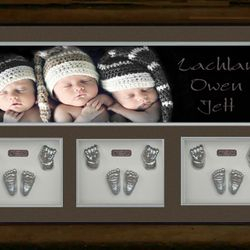 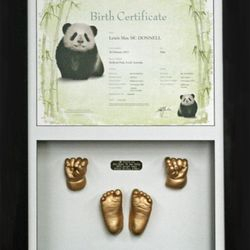 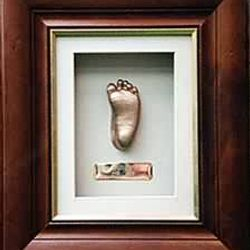 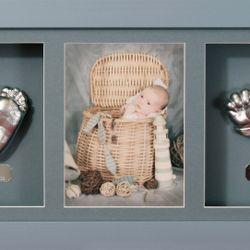 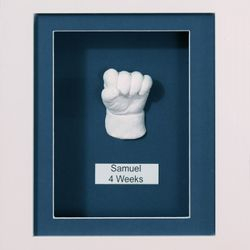 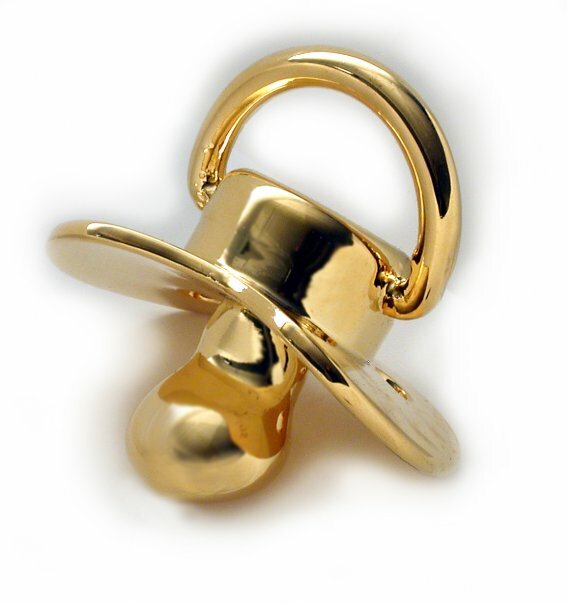 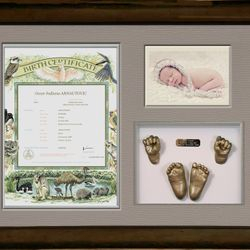 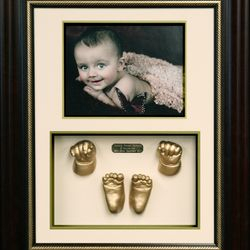 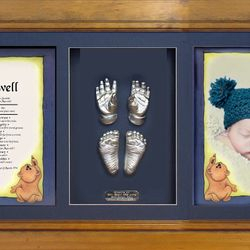 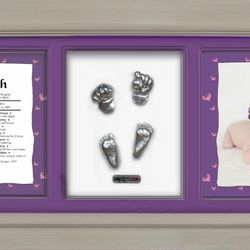 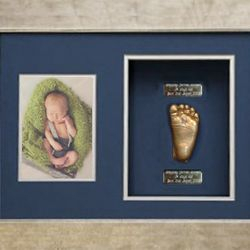 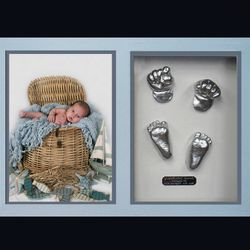 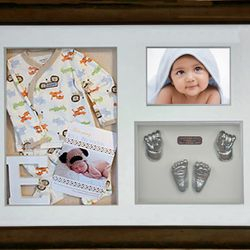 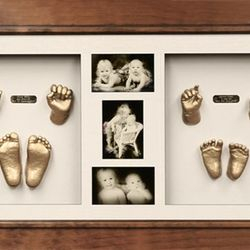 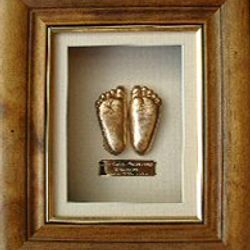 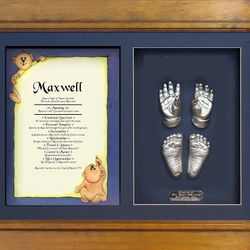 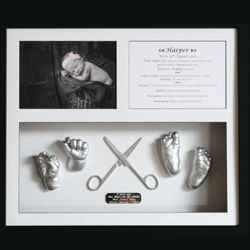 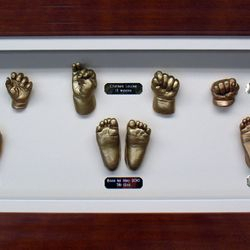 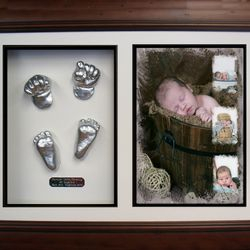 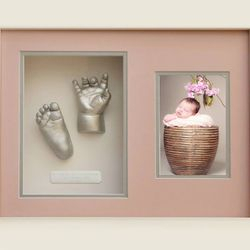 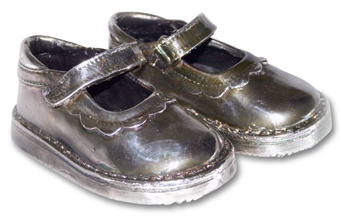 THE STYLE & SIZE OF FRAME WILL BE DEPENDENT ON YOUR CHOICE OF EITHER PORTRAIT OR LANDSCAPE PHOTOGRAPHY, PHOTO SIZE AND THE LENGTH & DIAMETER OF YOUR CHILD’S HANDS AND FEET. 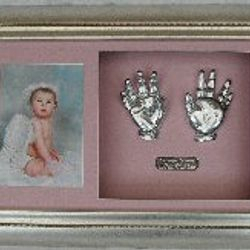 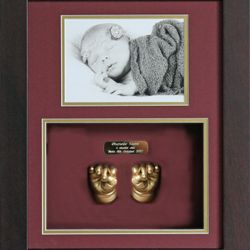 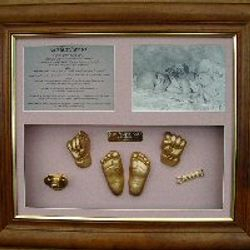 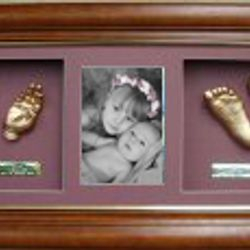 LARGER CUSTOM SIZE FRAMES MAY INCUR ADDITIONAL COSTS. 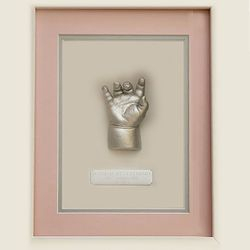 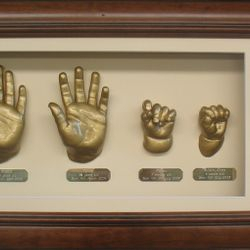 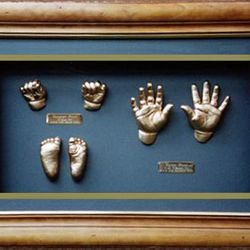 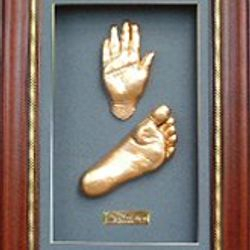 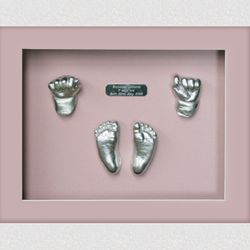 FRAME PRICES QUOTED ABOVE ARE BASED ON OUR STANDARD FRAME RANGE WITH SINGLE MATT. 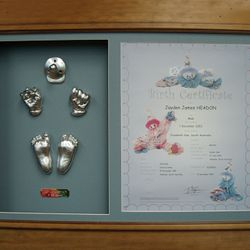 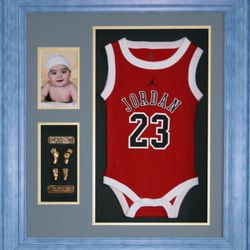 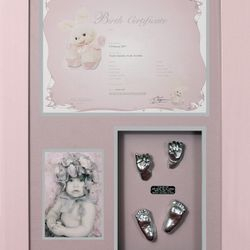 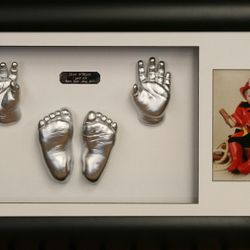 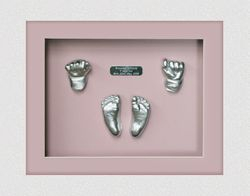 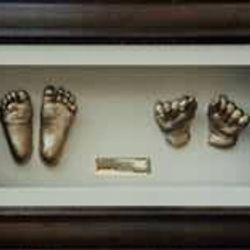 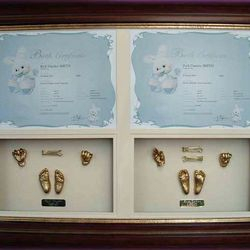 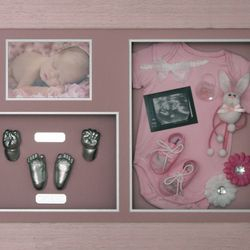 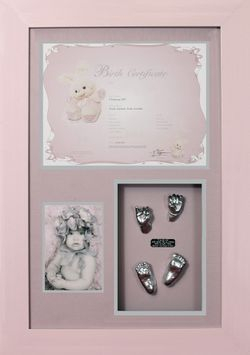 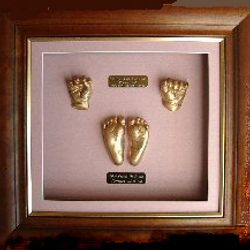 ALL FRAME PRICES QUOTED ABOVE ARE FOR BABIES UP TO 4 MONTHS OLD. 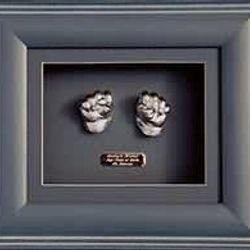 SURCHARGES APPLY AS SCULPTURE SIZE INCREASES.